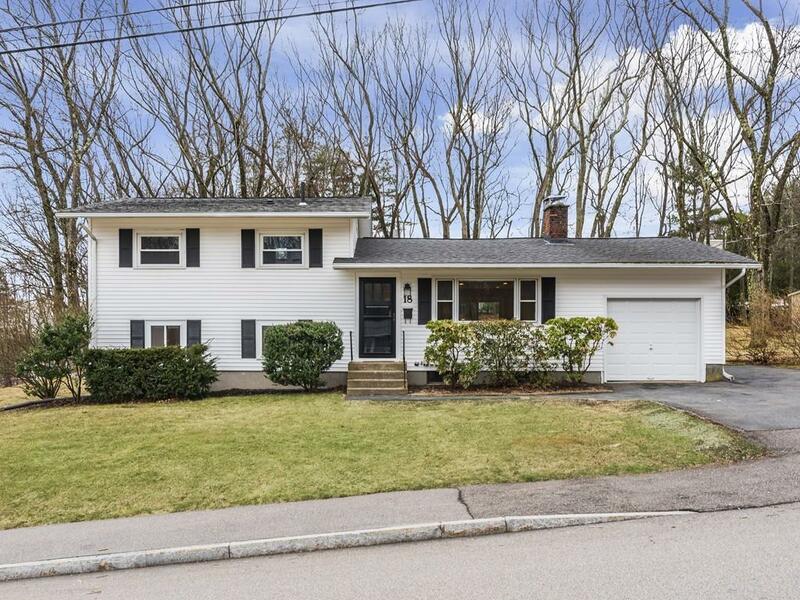 Tastefully renovated multi-level home in highly desirable North Framingham neighborhood. 4 levels of superb finishes with 3 generously-sized bedrooms, sunny living room with fireplace, dining room and spacious gourmet kitchen with breakfast bar, cherry cabinets, quartz countertops and stainless appliances. Beautiful hardwood floors. Master bedroom with full bath. 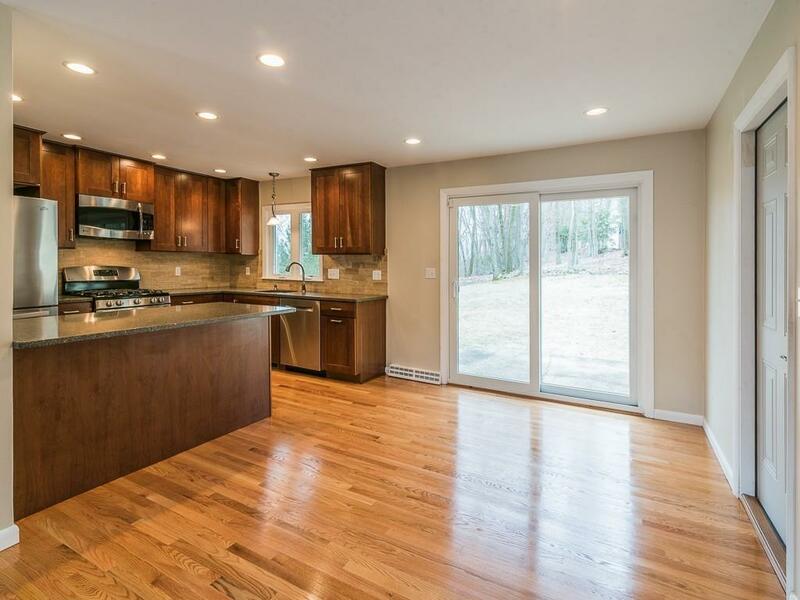 Fully finished lower level features huge family room / in-law, 4th bedroom and bathroom. Unfinished basement with storage. Enjoy the patio overlooking nearly acre of landscaped private yard -- ideal for all kinds of outdoor fun! Central AC. 1 car garage. Walking distance to 3 top elementary schools and middle school. 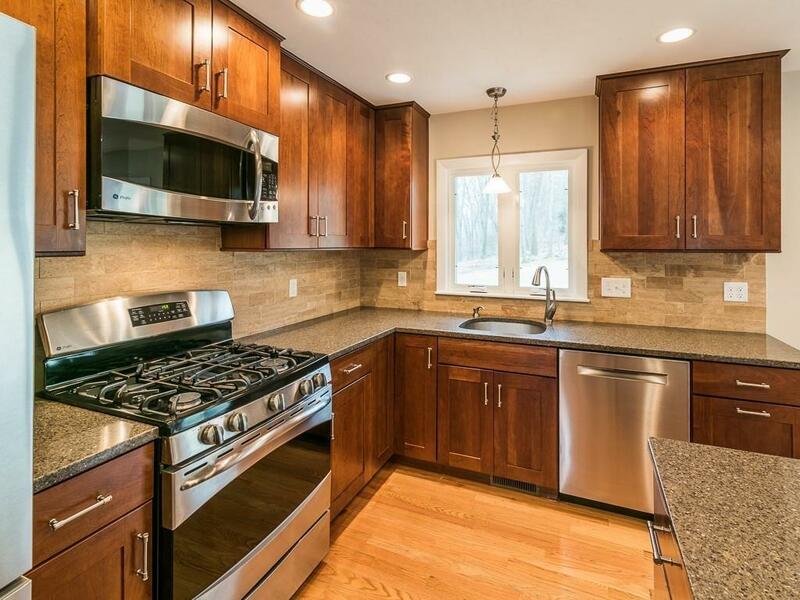 Terrific neighborhood setting, super convenient to shops, library and commuter routes. 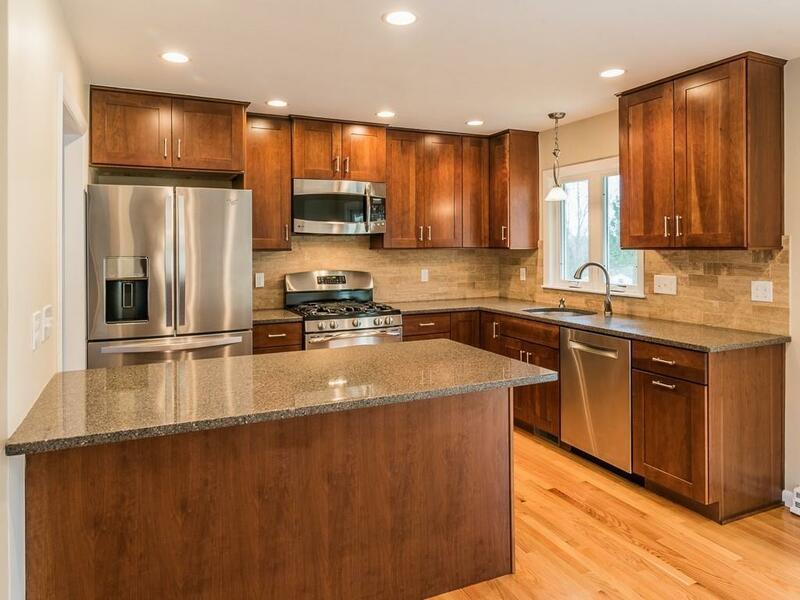 Listing courtesy of Michael Olin of Vanguard Realty. Listing provided courtesy of Michael Olin of Vanguard Realty.